DC / AC Air and Heat has been keeping Central Florida’s Air Conditioning ICE COLD for over 25 years! You can count on the DC / AC Air and Heat team to repair, replace or maintain your air conditioning system. We can repair all makes and models of air conditioners, heat pumps and HVAC systems. Our HVAC technicians have the experience and knowledge to investigate, diagnose and provide the proper air conditioning repair your system needs. We are committed to unmatched customer service and want to be the company you call when you need an air conditioning contractor in the Central Florida / Orlando area. We’re very thankful to be recognized as one of the most respected air conditioning and heating companies in Orlando, Florida. That’s why we ensure that only licensed, highly trained technicians with extensive AC repair Orlando experience are put to work for you. We work hard to make your experience as positive and hassle-free as possible. With over 25 years of experience, we continue to provide excellent customer service. We maintain highly trained personnel and focus on giving you the individual attention you deserve. Our technicians are courteous, dependable and very knowledgeable about all things A/C and commercial refrigeration. And, we are EPA Certified, Licensed and Insured to handle any AC repair Central Florida residents need. 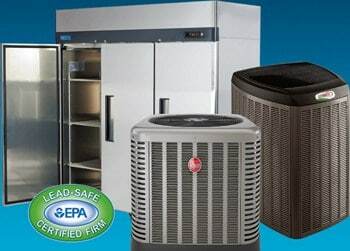 DC / AC Air and Heat is your #1 source for HVAC repair and service in Orlando and its surrounding Central Florida suburbs. Whether you’re looking to repair, replace or maintain your HVAC system, our team of A/C repair technicians and installation contractors are there for you and your family. There’s a reason we have the best reputation in the industry. It is because we go above and beyond the basic standards by offering a timely and superior service that is focused on your requirements. We are professional, reliable, and responsive. Whether you choose DC / AC Air and Heat for the ongoing maintenance of your A/C system or for the installation of a new AC system, we are passionate about what we do and will make sure you are completely satisfied. For the best AC repair near me, look no further than the experts at DC / AC Air Conditioning and Heating. We have the experience to help with all makes and models of AC units. 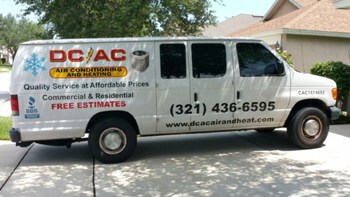 Getting the AC repair near you is all about finding a reputable and honest company. For years, we have been helping residents of Central Florida get the results they want and the excellent AC repair and service near you. DC / AC Air and Heat provides the best AC service nearby with reliable and friendly service. AC repair nearest to me is proud to provide excellent service, fair prices and our great technicians.